Unitech Composites, a Unitech Aerospace company and a leading supplier of complex composite laminates, components and assemblies for the commercial aerospace and defence markets, will provide its Lightweight Armament Support Structure (LASS) weapons pylons for the UH-60A Black Hawks helicopters that the US is supplying to the Afghan government. Unitech's LASS weapons pylon are 52 per cent lighter when compared to the legacy metallic EFS pylons and they reduce drag and maintain a neutral lift, said a company press release. LASS wings are easy to install and designed to fit existing UH-60A/L/M Black Hawk models with standard hardpoints. Depending on a customer's needs, LASS wings can be configured to support a variety of weapons configurations including 30 mm cannon, 50 cal guns, 2.75 inch rocket pods, and several missile payloads. The US Army's Utility Helicopters Project Office (UHPO), headquartered in Huntsville, AL, is managing the overall Afghan Black Hawk helicopter programme. Unitech's initial contract, with Science and Engineering Services (SES), is for the first three LASS shipsets, with the first one scheduled to deliver in the fourth quarter of 2018. Unitech's LASS "wings" will be installed on UH-60A Black Hawks with fixed-forward-firing weapons, to both the Afghan Air Force and the special operations-dedicated Special Mission Wing (SMW). Published programme requirements call for 58 of these weaponised Black Hawks. 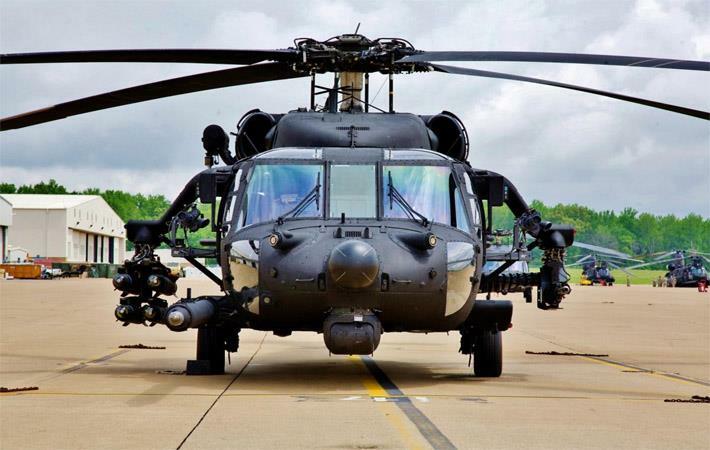 The Army Engineering Directorate (AED) is expected to issue an airworthiness release (AWR) prior to the Black Hawks being deployed in Afghanistan in late 2019.